Dr. Monroe is Director of Music at St. Thomas Episcopal Church in Terrace Park, Ohio, where, in addition to leading an active music program for children and adults, he established and conducts the Bach Ensemble of St. Thomas, a professional ensemble of instrumentalists and vocalists who perform services, concerts and educational retreats centered on the music of J. S. Bach. As a conductor and music educator he has taught at every level from elementary to college, including positions at Ursuline Academy and Walnut Hills High School in Cincinnati, Miami University (OH), and Georgia College & State University. He received his Doctor of Musical Arts from the University of Cincinnati College-Conservatory of Music He works with the Satellite program of the Cincinnati Children’s Choir, and is Region V Chair of the Association of Anglican Musicians and Membership Chair of the Greater Cincinnati Choral Consortium. He lives in Cincinnati with his wife Jennifer, contrabassoonist with the Cincinnati Symphony Orchestra, and their children Jack and Catherine. Jason Gunnell is currently completing a Doctorate of Musical Arts in Organ Performance at the University of Cincinnati College-Conservatory of Music. A native of Idaho, Jason received his Bachelor of Musical Arts at Brigham Young University-Idaho, studying with Daniel Kerr, James Drake, and Darwin Wolford. He received his Master of Music in Organ Performance and Church Music from the University of Kansas, studying with James Higdon. While at BYU-Idaho, Jason taught courses in Music Theory and Organ Lessons and is currently teaching at CCM. Jason has performed in masterclasses with organists of renown such as Ken Cowan, Paul Jacobs, Fred Swann, Clay Christiansen, and Richard Elliott. Jason won the 2011 Strader Organ Competition held in Cincinnati, Ohio. Jason has extensive experience as a church musician and organist. Before being appointed organist at St. Thomas Episcopal Church in Terrace Park, Ohio, Jason was organist at Northminster Presbyterian Church in Kansas City, Missouri, and also served as organist at First Presbyterian Church in Idaho Falls, Idaho. Jason also actively serves in the Church of Jesus Christ of Latter-day Saints in many music capacities and has served in the LDS church in music capacities for over 25 years. Jason has played in and performed in many venues throughout the United States and Hungary. Jason actively recitals in the famed Mormon Tabernacle and the LDS Conference Center in Salt Lake City, Utah as a Guest Organist at Temple Square, playing on the world famous V/206 Aeolian Skinner Organ in the Mormon Tabernacle and the V/130 Schoenstein Organ in the Conference Center. 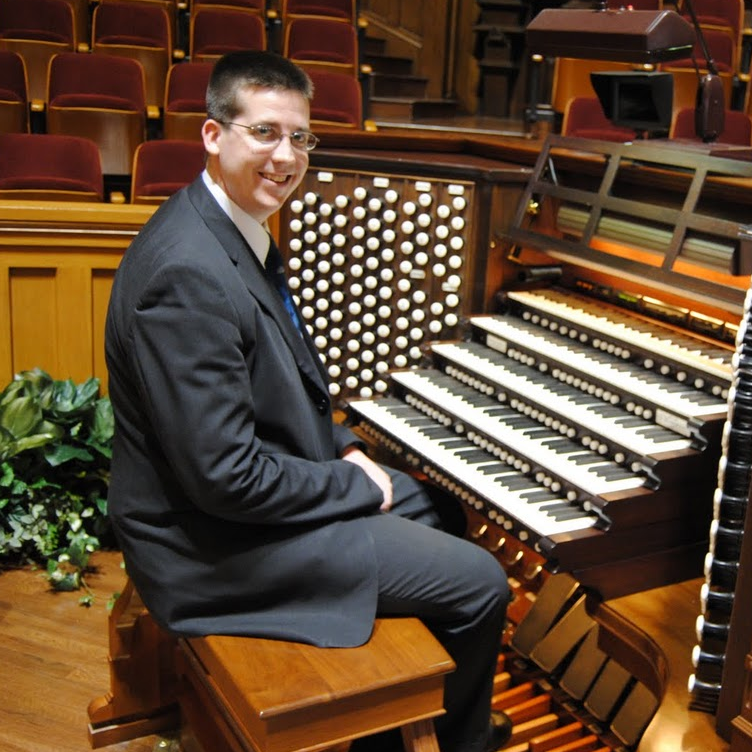 Jason was recently a finalist for the post of Tabernacle Organist in Salt Lake City. Jason currently lives in Cincinnati with his family. He is happily married to his wife, Kate. They are the parents of seven young boys, Grant, Mitch, Brigham, William, Clark, Russell, and Hyrum. Brianna Bragg, mezzo-soprano, is a Toledo, OH native in her final semester of her Bachelor of Music at The University of Cincinnati College-Conservatory of music. She has spent the last four years of her collegiate career performing around Cincinnati with various groups including Opera d’Arte, the CCM graduate opera program, and the St. Thomas Episcopal Church Parish Choir and Schola Cantorum. Her most recent performances include, Nancy in Benjamin Britten’s Albert Herring with CCM’s Opera d’Arte, Sixth Spirit in Jules Massenet’s Cendrillon with CCM’s graduate opera production, and Third Spirit in Die Zauberflöte with the Janiec Opera Company. She is also a winner of the Three Arts Scholarship competition presented by Three Arts Scholarship, Inc. in Cincinnati, OH. Currently, she is waiting to decide upon a path for her graduate career, and is delighted to sing with Musica Sacra as one of her final performances of her undergraduate career. Tenor Sam Krausz is currently a third year undergraduate vocal performance student at the University of Cincinnati College-Conservatory of Music, studying under William McGraw. Originally from Saint Louis, Missouri, Sam is an alumnus of the Opera Theater of Saint Louis Artists-in-Training program where he began his voice lessons, and he also notably placed as the silver medalist in the voice category of the 2014 YoungArts Festival in Miami, FL. While at CCM, Sam has performed as a soloist for all three of CCM’s choirs, and he made his orchestral solo debut with St. Thomas’ own Bach Ensemble. He is also preparing for his first operatic leading role as the title character of CCM’s 2017 production of Britten’s Albert Herring. Sam fully plans on continuing to graduate school for voice, though he is not sure where. 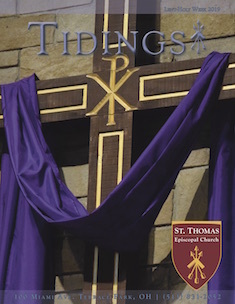 Most importantly, Sam’s faith and his immense support from his family, his school, and the nurturing community of Saint Thomas continue to inform him along his musical path. Hayden is going into the second year of his Bachelors of Music at the College-Conservatory of Music as a student of Kenneth Shaw. At CCM, Hayden made his operatic debut as “Sid” in Opera d’arte’s production of “Albert Herring” and is singing the role of “Sam” in the 2018 Opera d’arte production of “Trouble in Tahiti” as apart of the CCM centennial celebration of Leonard Bernstein. Hayden was very active in the church music scene in his hometown of Louisville Kentucky, and is very excited to now be apart of the St. Thomas Episcopal family. 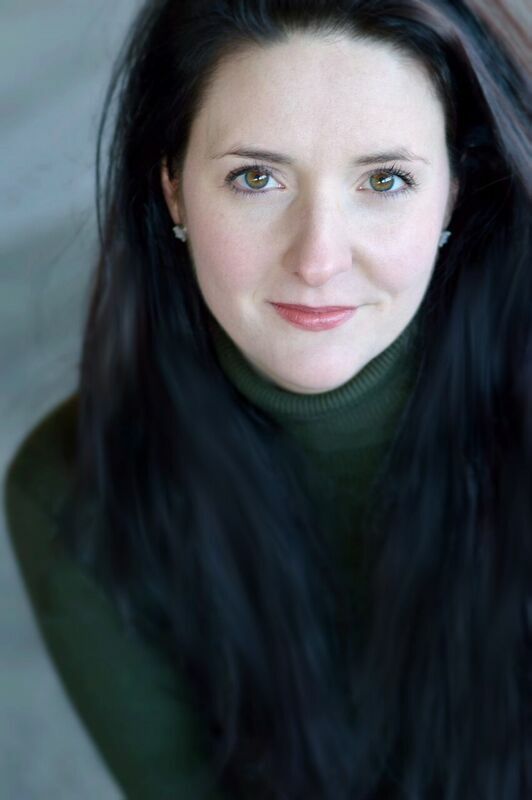 Sarah Folsom is a professional vocalist and voice teacher based in Cincinnati. A native of Tallahassee, Florida, Sarah completed her Master’s degree in Voice at the College Conservatory of Music in 2015 and currently maintains a private studio of fifty professional and amateur voice students. As a performer, Sarah is equally at home in classical, musical theatre, and popular repertoire and has appeared in numerous productions across the United States. Her extensive performing experience includes operatic and musical theatre roles such as Beth (Little Woman), Giannetta (L’elisir d’amore), Mabel (The Pirates of Penzance), Pamina (The Magic Flute), Mrs. Nordstrom (A Little Night Music), Maria (West Side Story), and Eliza Doolittle (My Fair Lady) as well as solo oratorio work from Britten’s Rejoice in the Lamb, Stravinsky’s Les Noces, Bach’s B Minor Mass, Mozart’s Mass in C, and Handel’s Messiah. Sarah is also active in theatre, most recently appearing in the Cincinnati Fringe Festival production of Reflections. Sarah has received multiple awards in both music performance and research, including the Tallahassee Music Guild’s Harsanyi Award, Florida State University’s John P. Spratt Award, and four consecutive first place prizes at the National Association of Teachers of Singing Competition. Currently, Sarah performs throughout the Tri-State area, presenting solo programs, singing with professional ensembles, and serving as a cantor at St. Thomas Episcopal and Ascension and Holy Trinity Episcopal Church.